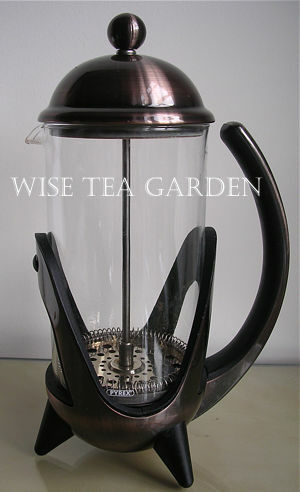 To be invoiced via PayPal (any currency) or INTERAC e-transfer (CAD$), please email your order to sales@wiseteagarden.com. In Stock: Floating Infusers, will be posted for purchases shortly. 1. 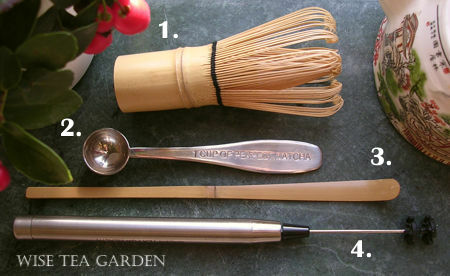 MATCHA WHISK: Natural biodegradable bamboo wood. 2. ONE CUP PERFECT MATCHA MEASURE SPOON: Grade 18/8 stainless steel. Dishwasher and microwave safe. 3. BAMBOO TRADITIONAL MATCHA SPOON: Natural biodegradable bamboo wood. Care: Hand wash with backing soda. * Shipping within North America only. These Tea Presses are as audacious and bold as the City of Shanghai. Replacement is available for 4 Cup and 6 Cup Glass Beakers. 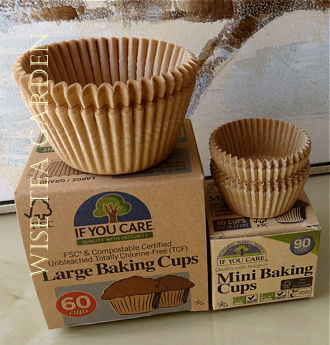 Chlorine-free greaseproof paper baking cups - microwave and oven safe to 428F/220C. These cups are great for sweet or savory baking. Along with not having any toxic matters in the paper content, they will also not stick to your baked 'recipe'. Large Cups size: 1.96" (50mm) x 1.37" (35mm) - suitable for standard muffin tins. Mini size: 1-15/8 (4.13cm). Each pack of Large size cups contains 60 pc, Mini - 90 cups. Paper is FSC Certified. Product of Sweden. Premium Whole Leaf Canadian Lab-Tested and Certified Deluxe, Organic, and Rare Teas. All rights reserved. Information is updated daily.